Hello Dealsnloot readers,Indiebarter.com Refer and Earn offer – Get Rs 10 free Paytm cash per referral. 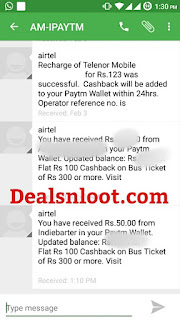 You can get unlimited Paytm cash by referring multiple times. Offer will be live till 14th Feb 2016. This is a genuine site to earn free recharge. 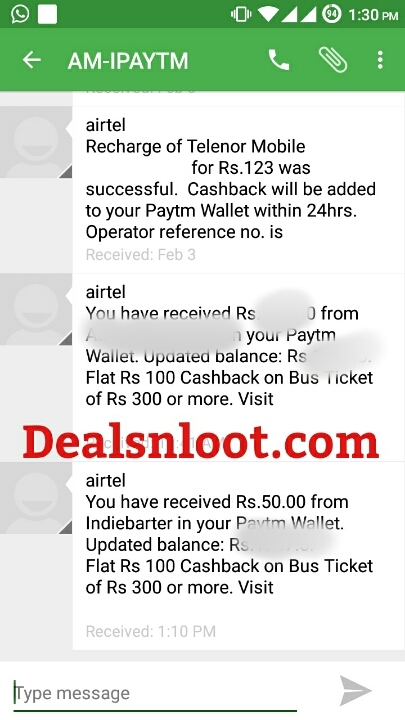 here we are now sharing PayTm cash loot. 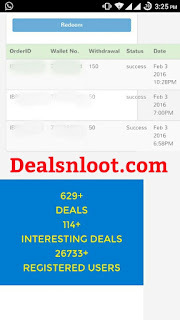 You can earn unlimited PayTm cash on IndieBarter by referring unlimited friends and you can redeem your earning into PayTm wallet.Grab this loot Offer and Earn Unlimited Paytm Cash Using Refer Trick. 2.Login/Sign up with facebook or google+. 6.Earn more by referring friends and collect minimum 50 points per referred friend you will get 5 points. 7.Go to My points >> enter your paytm wallet no. & amount to redeem your earning into paytm cash. 2) Now Open it and Randomize values of Google chrome in donkey guard App. 3) Now just change your IP Address using any site /app. 4) Now Open Chrome in Incognito Mode and signup using your Referral link with new number and Gmail Id. Note – Here you may use Gmail (.) Dot Trick. 5) Done!! Keep Repeating the steps again n again.